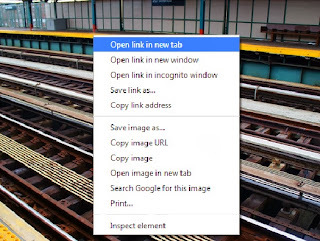 If you directly click on the image, it will give you a image loading failure message so right click on th image and select "Open link in new tab" (see image on the right). The high resolution image will load in a new tab. Right click then save as JPEG. Done! To save hosting space, I am posting some of my pictures at 600x400. If you want a copy of high resolution images, please send me a request through contact me page and I will send you a high resolution (more than 4000x4000) picture. 2. Most pictures have numbers. Hover over the image to see what number it is. Include this in your request. See image below.